In his position as a Leadership Giving Officer, Paul loves sharing stories of God’s faithfulness with fellow Asburians. 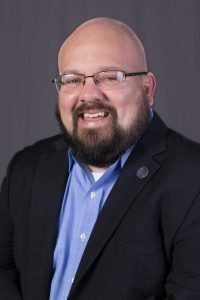 His responsibilities include traveling the country to develop relationships, identifying individuals who would enjoy investing in Asbury’s vision, and working strategically to secure philanthropic donors for Ignited: The Campaign for Asbury University. Paul graduated from Asbury University with a degree in psychology. He, like many others, was “undecided” before sitting in his first class with Dr. Al Moulton. It was clear after that first class that his college experience would be more enjoyable if it included Dr. Moulton and his teaching. Paul also attended Eastern University in Pennsylvania where he studied International Development. Paul enjoys spending time with his wife Laurelee and their new daughter Catherine. They live in the Atlanta area and consistently find themselves at ballgames, concerts, new restaurants and sometimes even make their way to Disney.